Owner/Mobile DJ - Scott Andrews Scott has owned A.I.M. Productions since 1994 when he and 2 friends started it while attending CSU Chico. Starting with private parties and greek events, their reputation as top-notch DJ's soon spread and they branched out to other areas - weddings, school dances, and night clubs. Mark and Matt moved on after college, but Scott continues to run the business with many other great local DJ's under his wing. Scott first got his feet wet in the DJ field from working as a DJ at FunLand / Cal Skate Chico in the early 90's. He was taught the skills of the trade from the then General Manager and local mobile DJ great Rob Love, of Rob Love Productions. With hundreds of weddings under Scott's belt, countless school dances all over Northern California, years of weekend work at bars and night clubs, and a small fortune invested in DJ equipment, he's no where near done. He loves DJ'ing with a passion and goes to each event fully prepared to make the next one the most memorable yet. The people he meets, the experiences he gets to share in, the thrill of filling a dancefloor with complete strangers, is just a few of the reasons why he loves his line of work, and considers it his calling. Mobile DJ - Donald Seeman Donald has worked with Scott for many years, doing everything he has, if not more. 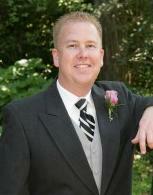 From school dances to weddings, you can count on Donald for an extremely professional, fun, and memorable event. Very few weeks go by without receiving something in the mail complimenting Donald on a job well done.Off the microophone, Donald has a very calm and mellow demeanor. Once he's on the job, he becomes Mr. DJ. Combining this personality with his extensive music knowledge, he has become an elite member of the DJ community. Be sure to request Donald for your next event - just be sure it's far enough in advance!